The daily epiphanies, the tone and timbre of a voice, the fleeting expression of a face…But these diaries of our lives are written in dust; they are not what remain. History scatters them and leaves only the stories, the writing, the punctuation points and narratives imagined by those in our future as they try to understand their past, as they try to fill the gaps left by the dust diaries of our intimate selves. It seems that everywhere one looks, people are digging into family history, eager to find out where they have come from. The BBC’s Who do you think you are? attracts millions of viewers, precisely because it reflects our fascination with our own roots. There is a real sense of adventure, and possibility, that we all have ancestors who, like long-buried jewels, are worth the interest of others, not only ourselves. Their back-stories are part of our communal history and identity. The BBC achieves this transition from private to public history through the medium of a TV programme; Owen Sheers through a wonderfully evocative mixture of biography, fiction and travelogue. But, for me, some of the most exciting investigations use poetry as their method both of research and of exposition: for example, Nancy Mattson’s “Finns & Amazons” (Arrowhead, 2012) describes her fascinating search for her Finnish great-aunt Lisi who disappeared in Stalinist Russia in 1939, and Anne Ryland’s “The Unmothering Class” (Arrowhead, 2011) contains profoundly moving ventriloquism of her 19th and 20th century working class fore-mothers. 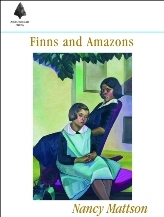 In the introduction to “Finns and Amazons”, Mattson explains how she found a Finnish link between herself and Sonia Delaunay (one of the artistic “Amazons of the Avant-Garde”), which led her to think about her own Finnish grandmother, Anna, who had emigrated to Canada with her family before WW1. Anna’s sister Lisi moved back to Russian Karelia in 1932 to help build a communist utopia, but after seven years, she was not heard of again. Lisi’s “small” private story, told through poems and translated letters in the third section of her book, becomes huge under the poet’s microscope: Lisi vanishes, and with her goes the whole 20th century communist dream. We have been introduced to Anna in the second section: My grandmother said ‘that’ like ‘tat’ (‘Three miles each way’). But while Mattson feels the urge to shred all the untidy letters and diaries of the past – to draw the steam iron over Stalinist wrinkles (‘House and garden tips’) – she knows this would be an incalculable loss precisely because her aunts already destroyed the articles her grandmother wrote, possibly in the name of tidiness (‘Written in the name of Rose’) . In the 3rd and 4th sections of the book, Mattson excavates everything she can find and imagine about her great-aunt Lisi, in a remarkable sequence of poems and transcribed letters. 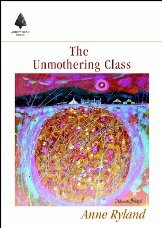 Eventually, Lisi’s husband is arrested and taken to a labour camp, Lisi herself disappears from view, turned “illiterate” by the brutal un-utopia that Russia had became. Furthermore, women’s occupations were usually considered not worth recording on census returns or birth, marriage and death certificates, although working class women invariably toiled throughout their lives to ensure the survival of their families. These women had neither a spoken nor a written voice; I wanted to redress this. In six years we built a staircase of boys! Five bellies to fill, five grubby faces, but they were ours. That word “snowing” is so shocking, so soft but cold and inhuman, that it tells you everything you need to know about being a woman working in a 19th century textile mill in Manchester. Is a longing to converse with ghosts. Leaning towards the dark, don’t we almost sparkle? Both these collection are highly ambitious, moving, informative, enjoyable. They tackle big themes, big moments . They feel important. So switch off the TV – these poems will tell you exactly who we think we are! Chris Beckett was born in London but grew up in Ethiopia in the 1960’s. His second collection, Ethiopia Boy, was published in 2013 by Carcanet/Oxford poets and was enthusiastically reviewed in Poetry Review and Poetry London. He also translates Ethiopian poetry into English.